We’re very proud of our work. Here are just some of the projects we have taken on where we’ve turned a house into a forever family home. JP was recommended to us by friends after he built a large extension to their period property. We were really impressed by the attention to detail and quality of the workmanship. Being extremely busy I needed somebody who could also project manage the build and after several meetings the contract was awarded to JP. Trusting somebody to get it right was hugely important based on the size of the project. The refurbishment went exceptionally well and JP added value by suggesting changes to the plans here and there which generated both more space and a better flow. The guys that work for him are all very polite and professional and we cannot thank JP and his team enough for building our dream home. 1900 redbrick house – poorly maintained & likely untouched in 20years. Work involved: Repointing most of the brickwork, complete rebuild of large chimney, new gutters, downpipes, soffits & facias, repainting external stone & woodwork, rebuilding bay windows and new roof. Required scaffolding up to the roof level. JP was excellent. From his initial visit, through the build and beyond he has always made himself personally available to us. He ensured minimal delays during the build and pushed the tradesmen he used to be available to suit his build schedule. 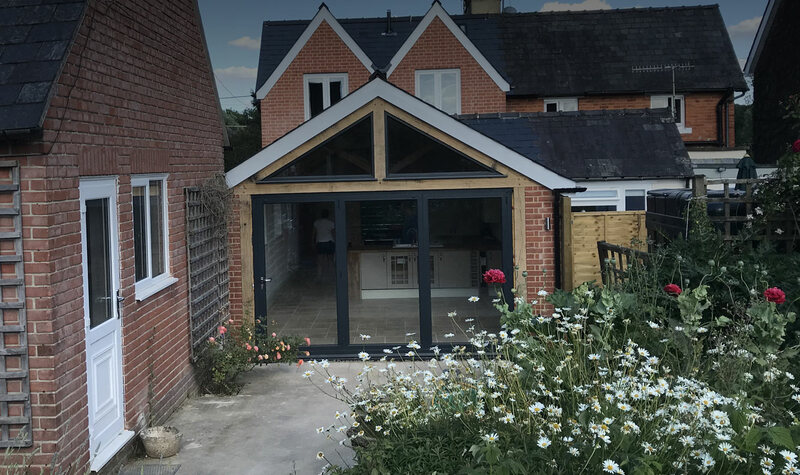 We have additional works planned and already selected JP to continue the great work.In summary, I would not hesitate to recommend JP & his team to anyone looking for someone to manage their build or undertake general joinery work. I would be happy to provide a further verbal reference if required. We had the pleasure of having John-Paul work for us in March 2015 and could not recommend him highly enough. We wanted to knock through an under stairs cupboard to improve the living room. We had a thorough consultation with him during the planning process and he made some great suggestions of how to maximise the space. He was so patient with us, when we changed our minds about things countless times! He was always on site when he said he would be and always left it as tidy as it could be. We are so pleased with our new living room and hallway, we will definitely be using him again for future projects. As first time buyers, delving into the world of renovation and house improvement was new territory for my partner and I. Our project was a 70's semi detached house which was in desperate need of some TLC. Our plans included adding a porch to the front of the house, extending the kitchen, adding a downstairs w/c and utility, changing the flat roof to a more substantial EDPM lining and building a bespoke study in the third bedroom. We met and spoke with a few builders and had various experiences, none that we care to relive again! Meeting JP was an absolute breath of fresh air. He couldn't have been more positive, helpful and patient. From the beginning JP has always thought outside the box, coming up with creative solutions and never making us feel defeated by 'problems'. We were drawn to JP's positivity, enthusiasm and passion for what he does. The contractors he employed too were also very helpful, efficient and respectful of the fact they were working in a home. The first task for JP was our study. JP took our brief, injected his own creativity and created a beautiful work area which utilities the small space we have perfectly. The study is testament alone to his high standard of finish and excellent eye for detail. JP offered us support all the way through the build, always being on hand to explain the process and keep us updated. His tweaks to our kitchen design too have meant we have a space we could not be more delighted with. JP understood exactly what we were trying to achieve, what our vision was and he re-created it for us perfectly. Once again, JP's excellent standards and vision can be seen throughout the downstairs of house, leaving us with a beautiful home. It's also a space that showcases the pride he takes in his craft. We will definitely be calling on JP again for our next project. We couldn't recommend him enough and we wish him every success with his business, of which we're sure he will have.